We love our pets, and now you can get your family pet photo put on your favorite Redneck Wine Glasses too! Need it customized? After you place your order, simply go to our Customize It! page and fill out the form. There you can specify your pet’s names or any other customization you need. Are you a pet owner? 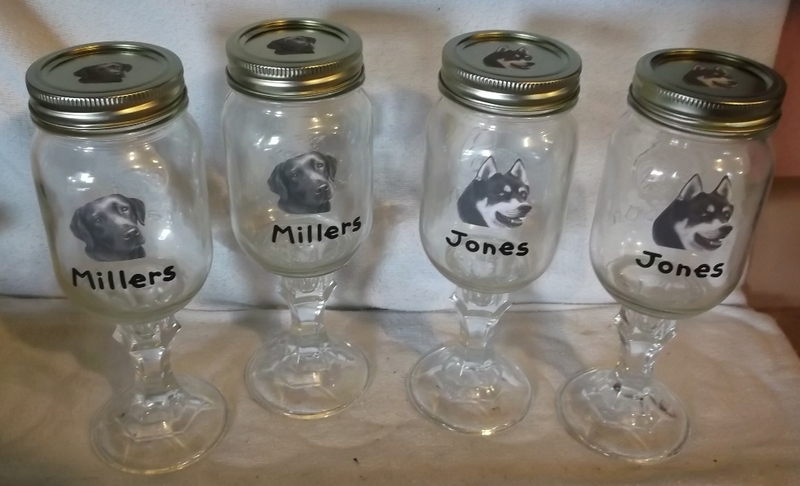 No matter what kind of a furry friend is your family pet – horse, cat, dog, bunny, hamster, gerbil, or even fish, snakes and turtles – we’ll put a photo o of your pets on our Redneck Wine Glasses with your family name on them. Family pet redneck wine glasses are a fun gift idea for the person who has everything – and especially for your friend and families who have a family pet. Great conversation piece, decorative items and you can even drink out of them. Prices do not including shipping/handling, which will be invoiced separately according to your zip code and weight of the order. Please email for a shipping quote before you order.